Zagg has quietly begun rolling out their new InvisibleShield on Demand (ISOD) service across Australian retailers, offering customers and businesses a fast and easy way to apply screen protection to any device that needs it. When it comes to stocking screen protection products like Zagg's existing InvisibleShield screen protectors, local retailers like JB Hi-Fi and Harvey-Norman ordinarily need to pick and choose the specific devices they want screen protectors for ahead of time. This can create both logistical headaches for the business and confusion and frustration for customers. If you've ever bought a smartphone that isn't an iPhone or Samsung Galaxy device, you'll know the annoyance of discovering your local retailer/telco doesn't have a screen protector for your phone and having to track down a screen protector or case from a shady online site. 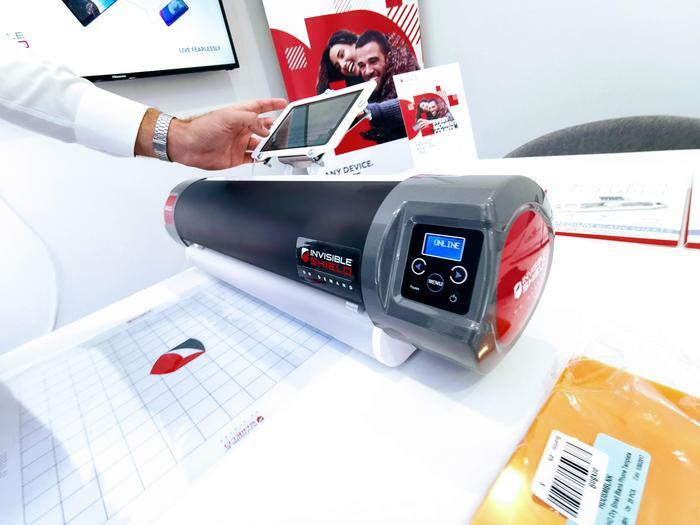 In response to these pain points, Zagg's InvisibleShield on Demand hooks businesses up with a printer-like device that's capable of cutting a sheet of raw InvisibleShield material to spec. Zagg say the app powering this experience is capable of cutting screen protectors for most major smartphones including the Huawei Mate Pro, iPhone XS and Oppo Find X. It can even handle unique notches like that found in the Huawei Nova 4 and smaller wearables like smartwatches. Rather than have to stock a variety of different screen protector kits that may or may not get bought, businesses just load up the material in bulk, select the device they want to cut a screen protector for using the connected tablet, watch the magic happen and then apply the protector as normal. The one catch here is that Zagg say that the blade on the cutting unit will need to be replaced every 500 cuts or so. When it comes to everyday consumer benefits, Zagg suggested to us that their on demand service will allow customers to easily get their hands on a screen protector that fits their device (no matter what kind it is) and that their solution will also likely end up being cheaper than the alternative. 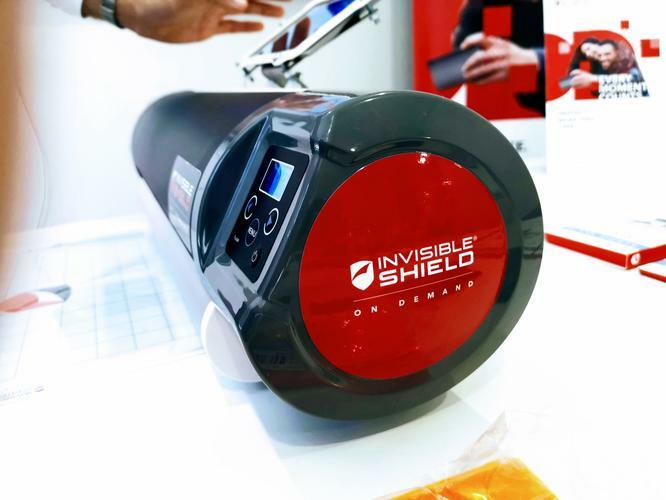 Zagg told us that the Invisible Shield On Demand will be coming to Harvey-Norman, Vodafone and Optus retail locations later in 2019. They say they plan to have the product in 530 retailer across Australia by mid-year. New Budget Smartphones vs Old Flagships: Which is better value?